Emaar is launching its Dubai Stars project, a walk-through tribute to global ‘influencers’ in the Sheikh Mohammed Bin Rashid Boulevard in Downtown Dubai. The general public is being invited to contribute suggested names for the first 400 ‘influencers’ to be honoured in the attraction that Emaar forecasts will become a major tourist destination in the city. The idea is to pay tribute to eminent personalities who have positively influenced the world through their work in film, music, art, architecture, sports and literature and also as social influencers. 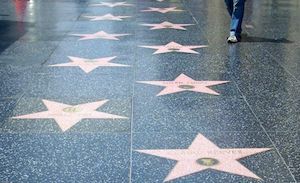 When completed the company believes it will have 10,000 names (four times the number in the Hollywood Walk of Fame). Said Ahmad Al Matrooshi, managing director Emaar Properties: "Emaar takes pride in ensuring the best lifestyle experience for both residents and visitors to Dubai. With Dubai Stars we are highlighting our commitment to making Dubai the best city in the world, and to promoting arts, culture and sports by saluting the stars, whose contributions inspire the world."